The Johnson Group is excited to announce the launch of our mobile responsive website cbjohnsongroup.com – your online resource for all Hudson, WI and St. Croix River Valley real estate! We at the The Johnson Group, strive to provide our clients with easy access to up-to-date listings and information impacting the real estate industry. Our goal is to enable you to make the right decisions about one of your largest investments, whether you are buying or selling a home. This feature rich website has everything you need to help you in your search for local homes for sale in Hudson, WI and the St. Croix River Valley. Start your advanced search for Hudson WI real estate now. You can also search by map or search by Hudson, WI and St. Croix River Valley neighborhoods. Also check out our Featured Hudson, WI properties for sale. If you have any questions about listing your home for sale, buying a home, or real estate in general then contact us by email or call (612) 597-8073. Interested in being notified of the hottest listings to hit the market? Then be sure to sign up for our FREE New Listing Alert. Stay informed of new listings as they hit the Hudson WI and St. Croix River Valley real estate market. Only get listings sent to you that meet your specific criteria. Sign up Today! Would you like to know about past sales in your neighborhood, or the area you looking to buy? Want to be notified on Hudson WI market reports on a monthly basis? The Johnson Group has you covered! View market statistics in the most popular neighborhoods with our Neighborhood Profiles. Sign up now to get monthly market reports sent directly to your email box. 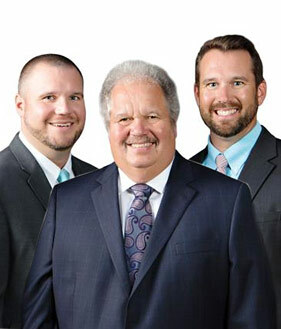 If you have any questions at all, don’t hesitate to contact The Johnson Group – your Hudson, WI and St. Croix River Valley real estate experts!